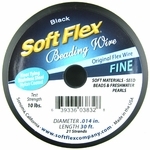 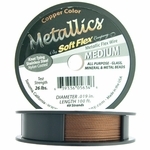 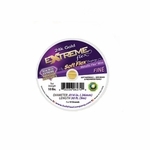 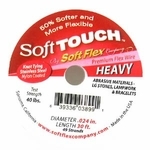 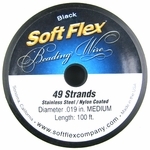 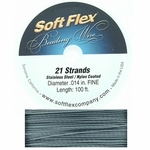 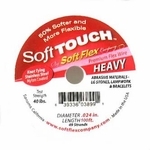 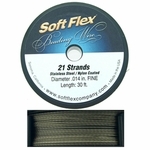 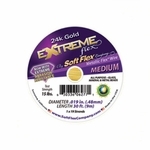 Shop Finedings.net for the lowest prices on Soft Flex Beading Wire. 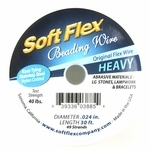 Our vendor no longer carries the "Extreme" beading wire. 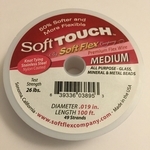 Order now, as we will not be able to order these products once they are out of stock. 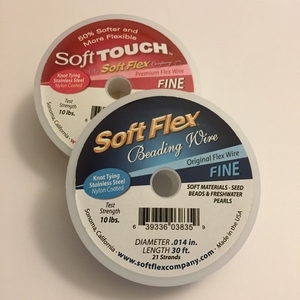 Note: We DO NOT ACCEPT RETURNS on Wire, Soft Flex or Cording products. 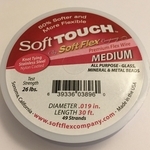 Soft Touch Wire, .019 Dia, 30 Feet, 49 Strand, Silver. Soft Touch Wire, .019 Dia, 100 Feet, 49 Strand, Silver. 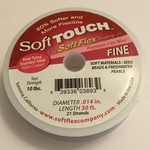 Soft Touch Wire, .014 Dia, 30 Feet, 21 Strand, Silver. 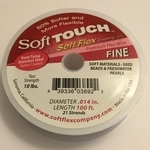 Soft Touch Wire, .014 Dia, 100 Feet, 21 Strand, Silver.